Montgomery Heating & Aire has served the Mountain Home, AR, region since 1999, providing expert service in a wide range of HVAC-related areas. Their expert technicians provide reliable, quality installation, maintenance, and repair. This all comes with a 100% satisfaction guarantee. One of our main areas of expertise is with the various HVAC systems available to you on the market. There are so many different types, with pros and cons for each of them, so we have broken down the types to help you determine which one is best for your needs, especially in a climate like we have here in Mountain Home, AR, and the surrounding areas. 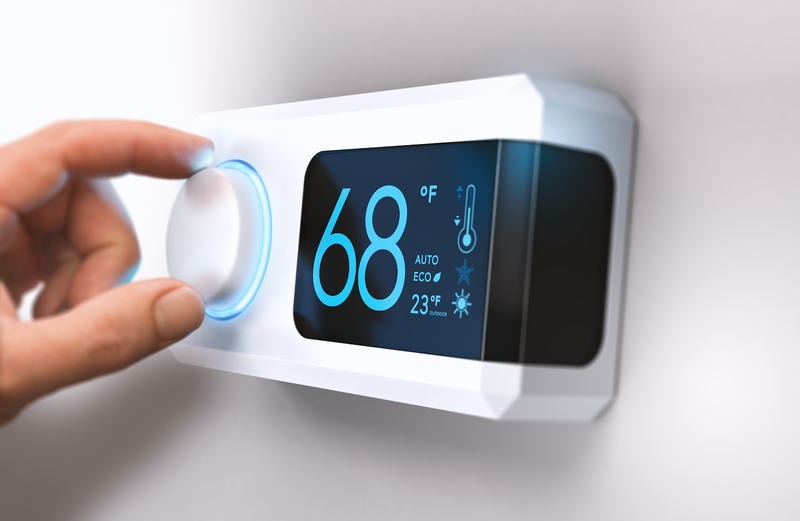 Split heating and cooling systems can be found in the majority of homes. This type of system also goes by a few different names such as central heating and cooling and home comfort heating and cooling. This traditional unit is popular for many reasons. For starters, you can install this type of unit almost anywhere. The indoor unit, outdoor unit, thermostat, ductwork, and any air quality components work well together to provide and maintain a comfortable temperature in every room of the home. This type of heating and air conditioning unit is also cost-effective and relatively easy to maintain. If you don’t have the room for the different components of a split unit, you can opt for a packaged unit. This space-saving heating and cooling unit is able to be assembled and combines all of the necessary components into one cabinet or unit. Are you looking for a greener HVAC option? Geothermal heating and cooling units are slowly gaining attention. With just a little research, it’s easy to see why. Geothermal heating and cooling systems are perhaps one of the most efficient ways to heat and cool and your home. They use a small fraction of energy compared to most traditional heating and cooling units. They also have a longer lifespan and require less maintenance and repair. These environmentally friendly geothermal units are also great for those who are building a new home or business. Geothermal heating and cooling systems are also very flexible in what they can do. Some units can heat your water and even support radiant floor heating. And if you have a pool, geothermal heating and cooling systems can be extended to provide heated water. Do you want or need to go ductless? There are several reasons why some homeowners and businesses choose to go with a ductless or mini-split heating and cooling system. As the name suggests, a ductless unit can provide heating and cooling without having to install a mass network of ductwork throughout a home or business. These types of units are also great for keeping everyone in your home comfortable. If someone in your family prefers the room to be extremely cold or hot, it can be a constant struggle with traditional HVAC systems. With a ductless system, each room that has a unit installed can be individually managed for optimal constant comfort. If you’re looking for a solution for cooling or heating your home, we have the expertise to help you decide between the many systems and select the best option for what you are trying to achieve. If you’re limited on space, looking to go green, building a new house, trying to cut costs, we have a solution for you! In the Mountain Home region, it is Montgomery Heating & Aire that is the right choice for all of your HVAC needs. Installing and maintaining central air and heating systems isn't something that should be left to anyone. You need experts in the field of ductless heating and cooling. For a free estimate from the Mountain Home area experts in HVAC services, call Montgomery Heating & Aire at (870) 435-1501, or visit them online today.